You don’t have to travel halfway around the world to find the world’s best chocolate – though this was exactly how Etienne Guittard discovered his true calling. After arriving in San Francisco from France for the California gold rush, the trained chocolate maker discovered the French chocolate he’d brought to trade for mining supplies was its own kind of gold. After going back to France and saving up enough money for equipment, he opened Guittard Chocolate Company on San Francisco’s Sansome Street in 1868. Ever since then, Guittard chocolate has been the choice of millions looking to eat, drink and bake with some of the most delicious chocolate known to man. 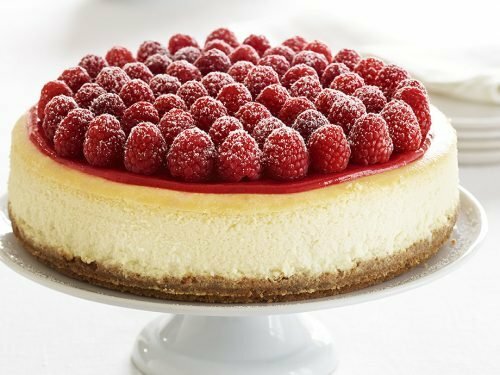 Guittard baking chocolate is the choice of world class pastry chefs and home bakers alike for its commitment to quality and extraordinary flavor. Whether you choose bittersweet, semisweet or milk chocolate, the creamy smooth texture enables you to fully appreciate the complexity of the organic chocolate wafers’ flavor. Select the fruity high notes, the whisper of spice and a luxurious finish that is the perfect complement to your confections. Guittard chocolate is a celebration of quality and flavor. We provide two different types of Guittard Cocoa Powder for two different chocolate experiences. Cocoa Rouge Unsweetened Cocoa Powder is the choice of the finest pastry chefs and confectioners with its intense, bittersweet character, rich red color and full, fudge-like flavor. Guittard also offers baking cocoa powder in medium Dutched process, rich, deep, dark full Dutched process, and natural process in varying levels of intensity. All are perfect for baking decadent creations like chocolate cookies, brownies, cakes, pies and memorable confections. The different levels of intensity are each made with a different percentage of cocoa butter to deliver a different, premium chocolate taste. The rich, full-bodied flavor of your favorite chocolate treat begins with premium quality cocoa powder. Guittard Cocoa Powder starts with the finest cocoa beans. This is just the beginning of the story. A variety of processes, both natural and Dutched, lead to a number of flavorful options for your chocolate experience. You think hot chocolate is just for kids? The rich, sensuous experience that is Guittard Grand Cacao Drinking Chocolate will thrill a gourmand. This award-winning treat is distinguished from other cocoa powders in that it includes real chocolate. Premium Guittard chocolate made from the finest cacao beans is ground finely and blended with old-fashioned, Dutch processed cocoa powder with a classic, with a rich, dark brown color. The result is full-bodied and intense chocolate flavor in a creamy smooth beverage that warms you through and smells as tempting as it tastes. Guittard Gourmet Baking Bars infuse your cookies, cakes, brownies, puddings and confections with the rich, complex flavor of the finest chocolate. Explore the character of premium chocolate, with its layers of fruity top notes and lingering, luscious finish. Whether you choose bittersweet, semisweet or unsweetened, the flavors are both delicate and intense, with a creamy smooth texture. Add bold, rich flavor to your pastries and confections with Guittard Chocolate Chips, Chunks and Batons. This premium line of baking chocolates is crafted for the serious chef and chocolatier from the finest ingredients. Guittard baking chocolates are made in small batches, in a wide range of finishes and flavors including semisweet, extra dark, milk, butterscotch, cappuccino, mint and more. Sumptuous desserts, cookies, puddings and candies all begin with the very finest ingredients. Guittard Chocolate Chips fill your confections with rich flavor, including semisweet, milk chocolate, white chocolate, green mint, cappuccino, butterscotch and more. 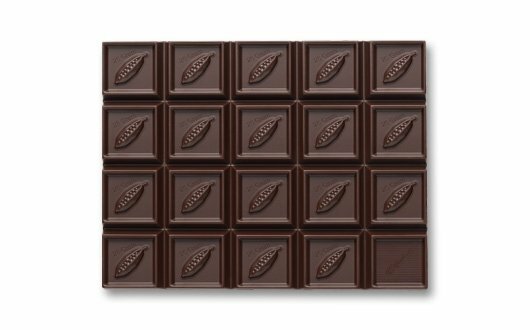 Artisan crafted in small batches, starting with the finest quality cocoa beans results in intense, full-bodied flavor with a silky smooth finish. Perfect for small batch baking, premium Guittard Chocolate Chips are available at World Wide Chocolate in a variety of sizes and flavors. Revel in rich bittersweet, classic semisweet, creamy milk chocolate, melting green mint, elegant Choc-Au-Lait, buttery butterscotch, intense extra dark and more! Guittard Chocolate is one of the oldest fine chocolate manufacturers in the United States. It was founded in 1868 in San Francisco after Etienne Guittard emigrated to the U.S. from France. Since then, the Guittard Chocolate Company has been upholding the uncompromising standards in ingredients and craft set by the founder. They source the best cocoa beans from around the world and use them to make rich and delicious chocolate products that would be right at home in any pastry chef’s kitchen. One of these gourmet chocolate products includes E. Guittard chocolate wafers. These delicious chocolate wafers are made for easy melting. They can be used in any recipe that requires melting chocolate. These chocolate discs also work especially well for coating fruit, marshmallows and other sweet items in decadent chocolate. 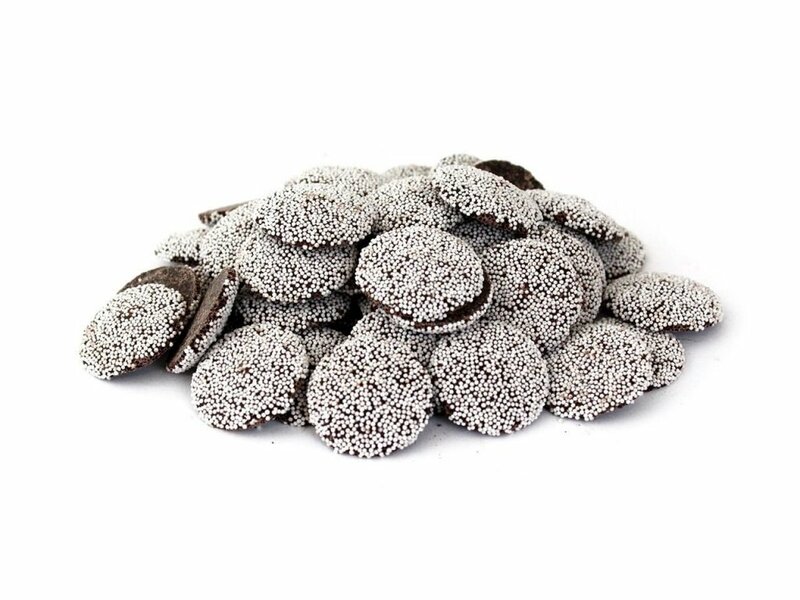 Not only does Guittard offer couverture, but also nonpareils, classic chocolate wafers, as well as sugar-free wafers. Guittard Mint Wafers and Nonpareils are indeed unrivaled in cool, creamy, melt-in-your-mouth minty goodness. Enjoy this premium candy in a cheery pastel mix of green, pink and yellow morsels. The mint wafers are pure smooth and melty mint. 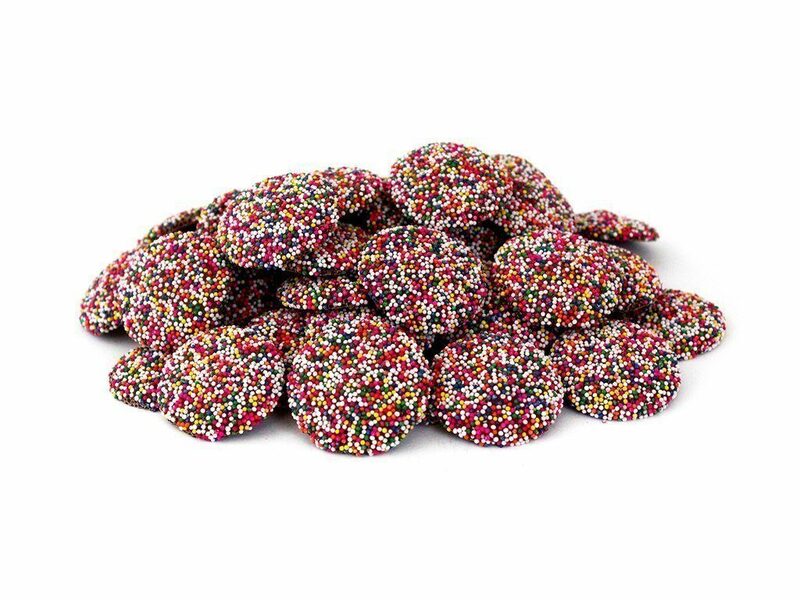 The nonpareils have the tiny white crunchy candies on the bottom for a festive appearance and contrasting texture. Both represent old-fashioned quality that is utterly delicious. The finest chocolate begins with the very best cocoa beans. The growing conditions for the beans lend special qualities of flavor and appearance to the chocolate that change from one region where they are grown to the next. Fruity top notes, floral aromatics, acidity levels and depth of color all reflect the region the beans come from. Explore the flavors of premium chocolate with Guittard Chocolate Blocks and find the perfect baking chocolate for your cookies, pies, pastries and candies. For a sumptuous experience of rich, velvety smooth chocolate for dipping fresh or dried fruit, or to cover your favorite cake, cookie or confection, Guittard A’Peels Dipping Chocolate is extraordinary. This heavenly Guittard melting chocolate pours smoothly with a luscious, glossy finish without the need of tempering. This compound chocolate coating is ideal for melt and mold chocolate candies, dipping strawberries, figs, shortcake, brownies, pretzels, biscotti, macaroons and more. When you need premium quality melting chocolate, it must be a special occasion. An extravagant fountain flowing with chocolate for dipping fresh or dried fruit is never done just for a Tuesday. And your molded or enfolded chocolate candies are little pockets of pleasure. These treats deserve the very best chocolate that melts beautifully with a scrumptious, creamy smooth texture that needs no tempering to be its glossy best. Guittard A’Peels melting chocolate is the perfect choice! Savor the rich, decadent flavor of creamy chocolate, caramel or white chocolate in your favorite coffee drink or granita. Guittard Chocolate Syrups combine premium ingredients with old-fashioned, artisan production to create a luscious and silky smooth addition that elevates a good drink to glorious nectar. Gourmet baking, pastries and candies rely on premium ingredients for delectable results. Guittard Baking Blocks are perfect for the serious chocolate lover with a large amount of confections to make. The flavor is rich and complex, with creamy smooth texture and finish. Savor the rich, exquisite flavor and velvety smooth deliciousness of Guittard Chocolate Bars. Explore and sample the variety of flavors different varieties produce, from creamy milk chocolate, through the rich complexities of semisweet and bittersweet to the bold, full-bodied extra dark chocolate. Revel in the varying fruity, floral and spicy notes, each with a different percentage of cocoa and all with premium quality. Robust, rich flavor with melting, silky smooth texture is the hallmark of Guittard Chocolate Chunks and Batons for baking. Superb quality cocoa beans, small-batch craftsmanship and a commitment to the finest chocolate make Guittard Chocolate highly sought by the top pastry chefs and confectioners the world over. To add on to their wide variety of offerings, Guittard also offers baking chunks, sticks, even chocolate flakes. World Wide Chocolate is proud to carry Guittard chocolate in bulk quantities so bakeries, cafes and other eateries can save on this fine treat. Infuse your next batch of cookies or muffins with chocolate chips, chunks, wafers and melt ‘n mold chocolate made using custom blends and formulas. In addition to bulk Guittard chocolate chips, you can buy single bags for use in home kitchens. Their Kosher chocolate bars are a sinfully sweet snack at any time of year, and you’ll never think of hot cocoa the same way after using Guittard drinking chocolate or chocolate syrup. You can even get special dipping chocolate for strawberries or pretzel sticks. For five generations and counting, Guittard has been developing and producing high-end chocolate that sources the best cocoa beans from around the world. All the while, they have remained committed to quality and sustainability. 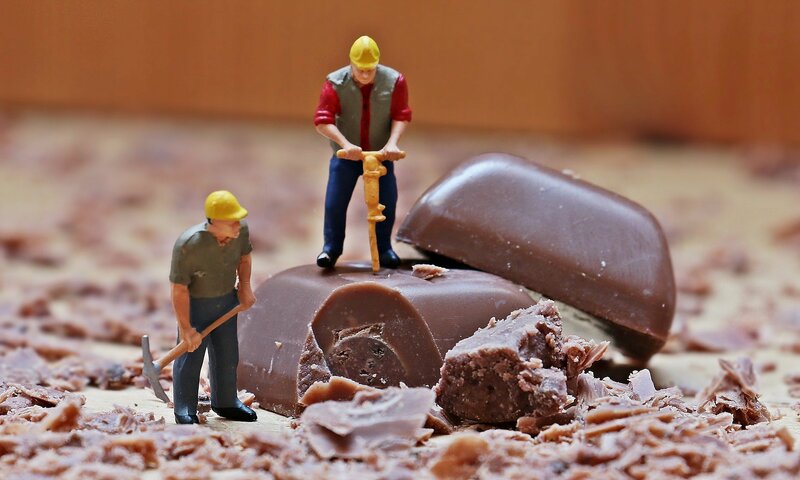 They even work to train chefs and bakers through the Guittard Chocolate Studio. The result is phenomenal chocolate that never compromises on ingredients or craft. 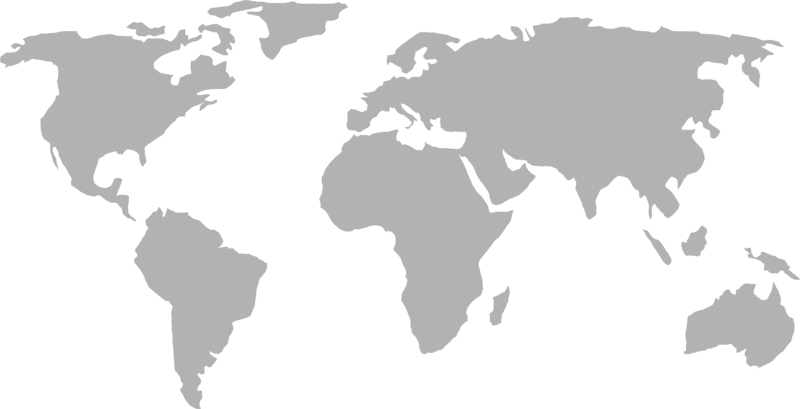 World Wide Chocolate is the place to order Guittard chocolate at wholesale prices so you and your customers can afford to experience the mouth-watering flavors and attributes of this gourmet pleasure. We ship fast directly from our New Hampshire headquarters!